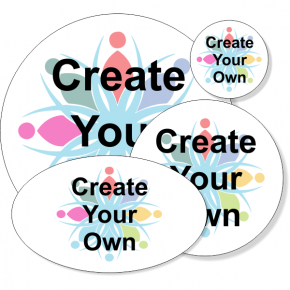 Design a Bumper Sticker, $1.48! Custom Bumper Stickers, Next Day! Black Border Oval Bumper Sticker | 3" x 5"
Business Logo Bumper Sticker | 3" x 10"
Tech World Bumper Sticker | 3" x 10"
Circuit Board Bumper Sticker | 3" x 10"
The same tier pricing applies to all sizes. At CustomSigns.com you can design your own bumper sticker or shop our pre-designed templates. Our designs include political bumper stickers, safety precaution stickers like "wide turns" and "baby on board." Make any statement you want to make with a bumper sticker for your car, also including don't text and drive, watch for bikers and how's my driving? Many of our stickers are to be used on industrial and company vehicles, so if your employees represent your company on the road, make sure to post the appropriate stickers. You can also get a company license plate and magnetic car sign to match. Do you have your own message to display? Use our design wizard to create your own bumper sticker! Whether you want to display your company information and logo or support your team, you can create any type of custom bumper sticker you need!